We look at skyscrapers and dams and see them as pinnacles of human engineering, content in the fact we can build whatever we want. However, we often fail to remember the technological marvels of ancient history—buildings or temples which seemed impossible to construct by primitive cultures. Here are ten hopefully lesser-known examples of amazing ancient construction. 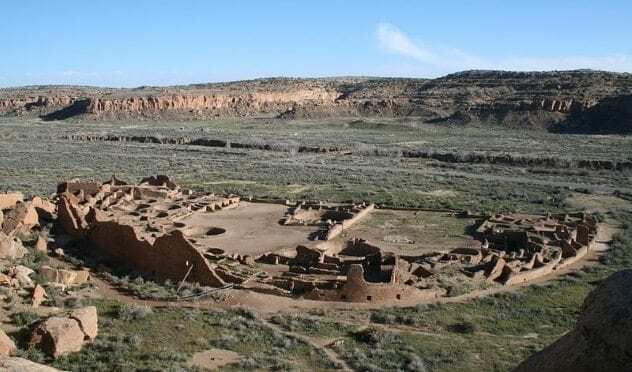 Located in Northwestern New Mexico, Pueblo Bonito is the largest and most well-known example of a great house (village) built by the ancestral Pueblo people. The village’s construction began in the early part of the 10th century AD and continued for nearly 180 years, reaching a peak of around 800 separate rooms, with some buildings having as many as five stories. It was first discovered in 1849 by US Army Lieutenant James H. Simpson and his guide, Carravahal. Since then, Pueblo Bonito has become one of the most excavated and explored ruins in the Southwestern United States. A number of the rooms were damaged when part of the cliff wall behind the village collapsed. (The name of the rock which fell translated as “Threatening Rock,” showing that the builders were well aware of the danger.) Just behind Pueblo Bonito lies a set of petroglyphs, mysteriously showing six-toed feet, made sometime in the late 10th century or early 11th century. Found in the southern half of Turkey, Catalhoyuk is estimated to have existed from around 7500 to 5700 BC. It was built by an unknown Neolithic culture that is believed to have been highly advanced. 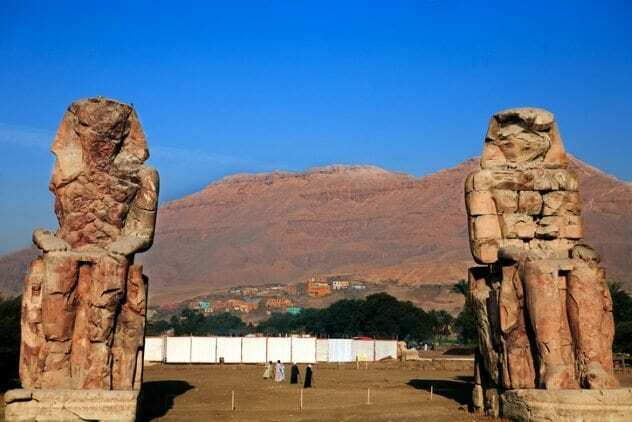 Excavations have been going on there since the site was first discovered in the late 1950s by British archaeologist James Mellaart. A number of interesting items have been uncovered, including (allegedly) the earliest known map and some of the most exceptional daggers ever seen from that period. The houses of Catalhoyuk have an intriguing quirk: They have no doors and were entered from the roof, by ladder. Also, the dead seemed to be buried underneath the floors of the houses, particularly by the hearths. However, based on the discovery of some disarticulated bones, the bodies may have been left outdoors for a while before they were buried indoors. Astonishingly, the Fairy Stone was moved in one piece from a quarry over 10 kilometers (6 mi) away. It’s not known exactly how it was transported, but it could have been floated down a nearby channel or simply taken by land utilizing a “wooden cradle,” basically rolling logs on wooden tracks. The purpose of the site is unknown, although there is a dolmen (a type of tomb) located there. Other researchers have put forth theories involving lunar activity. After the statues were damaged in an earthquake, the northern one was said to make a bell-like tone in the morning, possibly due to rising temperatures. The tone was believed to indicate that one was favored by the gods. Today, the sound can no longer be heard because the Roman emperor Septimius Severus accidentally stopped the noise when he was having the statues repaired in AD 199. Erected as a monument to the Roman emperor Diocletian after he suppressed an Alexandrinian revolt, Pompey’s Pillar was erroneously believed to have been commissioned by the Roman leader Pompey. However, an inscription on the base clearly states it was made to honor Diocletian and given to him by the people of Alexandria. A myth involving Pompey’s death and his head being placed in a funerary jar on top of the pillar may have led to the confusion, another thing you can blame on those pesky Crusaders. Standing over 27 meters (89 ft) high, it was originally built during the fourth century AD. 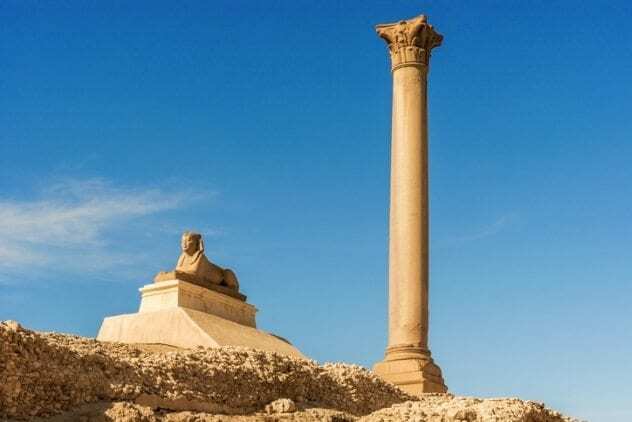 Pompey’s Pillar was actually part of the Temple of Serapis, a Roman temple to an Egyptian god, but the temple is just ruins now, destroyed by the constant rise and wall of the nearby waters. 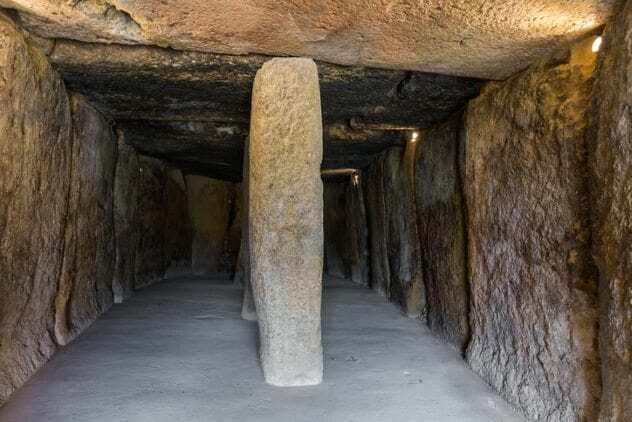 Dating from around 2000 BC, the Dolmen of Menga is a large burial ground known as a tumulus and is located in the southern tip of Spain. A number of chambers were created by placing a large number of extremely heavy stones next to each other. The walls, the roof (which is made up of four individual pieces), and the pillars are made of the same rocks. 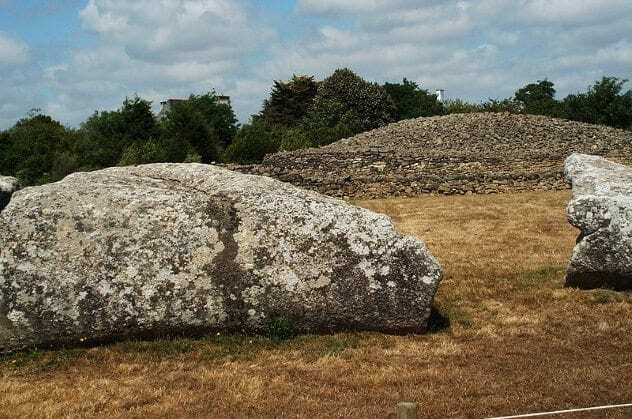 As far as the name is concerned, legend says that a leper named Menga took refuge inside the dolmen after her husband died. Archaeologists believe the dolmen to be the largest such structure in Europe and have found several hundred distinct skeletons inside it, possibly all belonging to the ruling groups of the culture. However, the identity of the builders remains a mystery to this day. This site, along with two sister ones, was placed on the UNESCO World Heritage list on July 15, 2016. 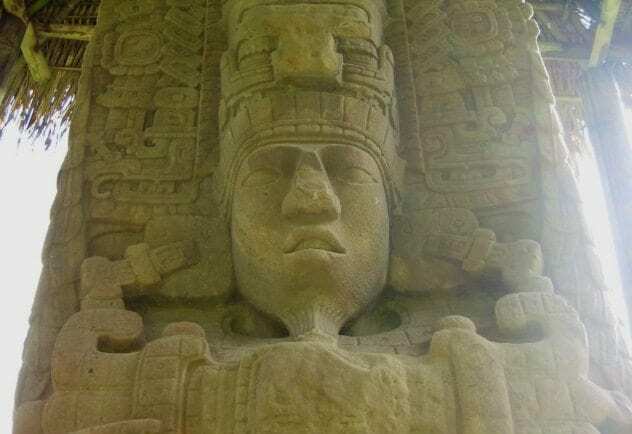 Built and completed by the Maya sometime between AD 200 and 800, Quirigua contains exemplary examples of Mayan architecture as well as one of the largest stelae (carved stone monuments) in existence. Stela E weighs in at an astonishing 65 tons. Stelae were commonly built to commemorate the passage of time or otherwise important events. Frederick Catherwood, an English architect, was the first European to see Quirigua, and a number of excavations have taken place since then. Aldous Huxley once visited the ruins and wrote of the stelae that they commemorated “man’s triumph over time and matter and the triumph of time and matter over man.” Quiriga went into decline around AD 900, probably due to the loss of the jade trade. Translated as “Sargon’s Fortress” or “Fort Sargon,” Dur Sharrukin was built by the Assyrians sometime between 717 and 707 BC and stands in the northern part of Iraq. The city was nearly 2.6 square kilometers (1 mi2) in area and contained a temple to Nabu (a vegetation god) as well as a royal palace. 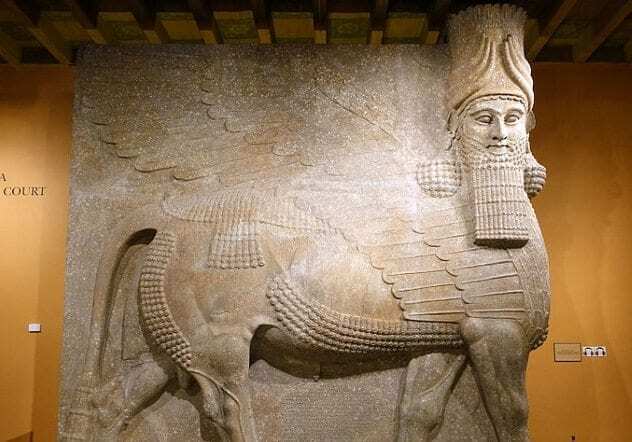 However, the most interesting artifact recovered from the ruins is the Assyrian Bull, a work of stone estimated to weigh nearly 40 tons. It is the largest example of a bull, winged or otherwise, in human history. Dur Sharrukin was first excavated by French consul Paul-Emile Botta in 1843. Subsequent expeditions have uncovered a number of new discoveries. The city itself was deserted shortly after construction was completed because King Sargon II was killed in battle. 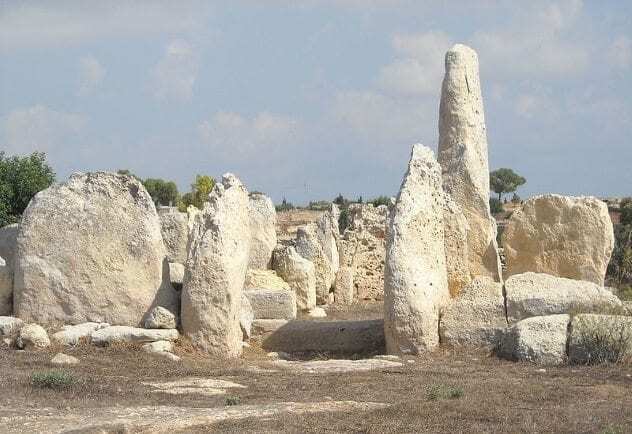 Located in Malta, Hagar Qim is believed to have been built by an unknown culture between 3200 and 2500 BC. This culture said to have been wiped out as a result of famine or natural disaster and has left few identifying details. Said to be one of the earliest examples of religious beliefs, the temple at Hagar Qim contains a number of fertility goddess statues known as Venuses, some of which are now on display in the National Museum of Archaeology in Valetta. Hagar Qim was built hundreds of years earlier than Stonehenge. The prehistoric capital of the Tiwanaku people, the city of Tiwanaku is located on the shore of Lake Titicaca in Bolivia. Originally a small village, the city later flourished between AD 400 and 900, becoming home to a number of the largest stone structures in South America. 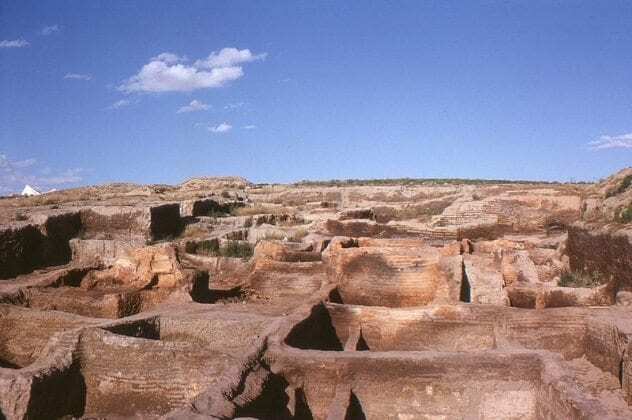 The city was deserted around AD 1000, most likely due to floods. 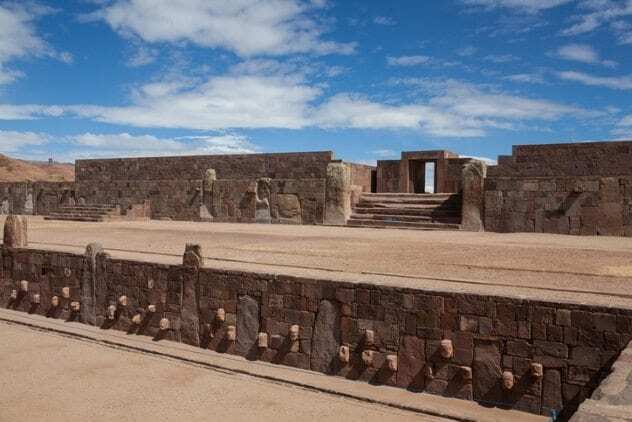 The Inca eventually conquered the Tiwanaku civilization, although their mythology eventually included the city, as it was believed to be the origin point of mankind. Over a million people could have lived inside Tiwanaku. It was left abandoned until 1876, when US archaeologist Ephraim George Squier rediscovered it. In 2000, it was inscribed as a UNESCO World Heritage Site.